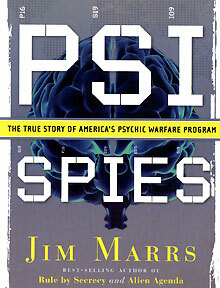 - Jim Marrs, Author, Psi Spies © 2007. September 14, 2007 Wise County, Texas - Jim Marrs was born and raised in Fort Worth, Texas. Jim has been tracking down facts and trying to make sense of political stories in America since his college days as a journalism major at the University of North Texas in Denton. He graduated in 1966 and began a newspaper reporting and editing career first at the Denton Record Chronicle and then Lubbock Avalanche Journal. Later at the Fortworth-Star Telegram, he was an investigative reporter and cartoonist, and earned photography awards.